A new breed of robo advisors! Here at Dividends Diversify, I write a lot about selecting and investing in individual dividend paying stocks. In addition, we discuss how to build a diversified portfolio of these investments to build your wealth. These practices are just one aspect of my do it yourself investing activities. But it might surprise you that I recently invested my money with Emperor Investments robo advisors. Disclosure: This is a sponsored post on behalf of Emperor Investments robo advisors. Dividends Diversify is an affiliate marketing partner with Emperor. And I (Tom) am now an investment client of Emperor Investments. As affiliate marketing partner, I will receive a commission if you sign up and fund an account with Emperor Investments through my Dividends Diversify affiliate link. You can sign up with Emperor Investments right here, right now. Or read further for more information. By signing up through Dividends Diversify, you receive your first 6 months free of charge! Emperor is a pure equity robo advisor. They build tailored dividend paying portfolios for people who do not have the time, expertise or desire to do their own stock analysis and selection. Let’s break these concepts down a little more. If you are a do it yourself investor like me, you might not know a lot about robo advisors. According to Investopedia, robo advisors are digital platforms that provide automated, algorithm-driven financial planning services with little to no human supervision. A typical robo-advisor collects information from clients about their financial situation and future goals through an online survey. They use this data to offer advice and automatically invest client assets. In a recent interview on Barbara Friedberg Personal Finance, Brenna Casserly, Emperors Chief Executive Officer explained that they don’t let their technology do all the work. Rather, Emperor’s Chief Investment Officer and their financial analysts further analyze the companies that are selected by their algorithms. This is to make sure each client gets an appropriate Emperor portfolio to help meet their goals. HOW DID I LEARN ABOUT EMPEROR INVESTMENTS ROBO ADVISORS? Being a do it yourself investor, I previously knew very little about robo advisors. In addition, who the major participants were in that industry. Then in the summer 2018, my dividend blogging counterpart, Keith at DivHut published a sponsored article about Emperor Investments. After reading the article, I left a comment. And a few days later Emperor’s CEO, Brenna Casserly contacted me to see if I would be interested in collaborating. Upon establishing mutual interest, our working relationship was formed. As a good CEO should do, Brenna delegated the hopefully not too difficult task of dealing with me to Emperor’s Head of Marketing, Ogi Sucur. Why do I bring these relationships up? With 30 years of business experience under my belt and as a former Corporate Financial Officer, I can get a sense when I’m dealing with talented, ethical people who believe in their product or service. And that’s the feeling I get from Ogi and Brenna. 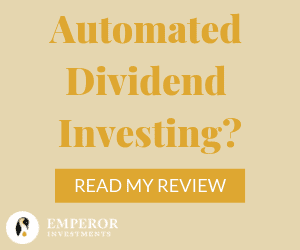 WHY DID I INVEST WITH EMPEROR INVESTMENTS ROBO ADVISORS? When it comes to my personal investments, I have three primary objectives. Those are the goals for my investment portfolio. And that is why I like dividend growth stocks. They are an ideal investment vehicle to achieve my objectives. WHY NOT JUST STICK WITH MY INDIVIDUAL STOCK PORTFOLIO? Then you might ask, why not stay with selecting and investing in individual dividend stocks? My answer is based on a quote I read recently from Charles Carlson. Mr. Carlson is the chief executive officer of Horizon Investment Services. He is also the long time editor of the DRIP Investor Newsletter. DRIP stands for dividend reinvestment plan. “So often in the investing world, things get framed as either/or. Either you own stocks or you own mutual funds. Either you buy stocks through a broker or through a DRIP. Either you’re an active investor or a passive one, and so on. I am a firm believer in Mr. Carlson’s philosophy. Not only for investing, but as it relates to many things in life. We often need more than one or two tools in our toolbox to be effective! So a robo advisor based on a dividend stock portfolio from Emperor Investments represents a new tool for my investing toolbox. And their all stock portfolios meet with my investment objectives. It seems like a great match, right? Well, not so fast. Every good investor should do their due diligence before they commit their hard earned cash. And so of course I did mine. I have read a number of articles and reviews about Emperor Investments. Here are the pros and cons that I have discovered and summarized for you. Please note that SIPC insurance does not cover investment losses due to individual stock or market fluctuations. SIPC stands for Securities Investor Protection Corporation. You can learn more about this insurance on the SIPC website. Note that Emperor plans to increase the minimum investment to $2,000 in the very near future. If you act quickly, you can still sign up for as little as $500. It is usually a good idea when trying a new investment to start small and add money as you become more comfortable. That is what I did. I started my account with $500. 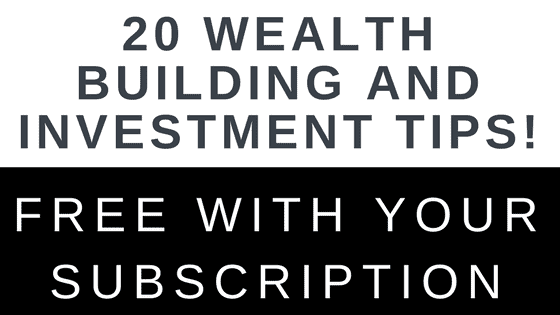 If you sign up through my Dividends Diversify affiliate link, you also receive your first 6 months for no fee. You can sign up using this link. This is how the sign up process went for me. I was taking notes for this article, so it took me a little longer. I would plan for at least 10 minutes. If you want to take your time, 30 minutes should be more than enough. After I answered the questions, Emperor computed my risk tolerance level as 6.2 out of 10. And then presented me with a model portfolio indicating percentage allocations by US stock sector. At this point, I had the option to adjust my answers to the questions or sign up. I was ready to move forward. Note that you will need your bank account user ID and password to do this final step in the application. Once I completed the application and linked my bank account, I then was directed to create my first investment goal in the Emperor Investment’s account portal. The goal setting process consists of a few more questions on several more screens. It was pretty straight forward and focused on these questions. I have also included my answers. Although I did not want recurring contributions to the account, this is a great feature. You can automatically dollar cost average into your account. This feature allows you to pay yourself first and set it and forget. It’s a great way to invest and build your wealth. You might note I want to turn $500 into $1,000 in 5 years. I do not plan to add more money to this goal and will reinvest dividends. This is pretty aggressive and will require a 15% annual return. I do not normally invest this aggressively with such high return expectations. But I invested a small amount. And I want to see how my test portfolio performs under this type of goal. Emperor used the answers from the questionnaire I filled out at the beginning of the process. And the details of my goal to build my tailored portfolio of 15 stocks. I was excited that I only owned four of them in my current dividend stock portfolio. This is good because I did not want a lot of overlap with my existing holdings. Remember, I wanted a new tool for my investing tool kit. I am just guessing this may have to do with the aggressive goal of doubling my money in 5 years. My personal hand-picked dividend stock portfolio is not that aggressive. So I’m going with a little more risk reward potential with my Emperor account. That’s it. Now I can sit back and let Emperor do the investing work for me. Because I signed up using my affiliate link I also get my first 6 months free. You can too! I hope you learned a lot about Emperor Investments from this post. As I signed up, funded my account and worked on this article for you, I got pretty excited about Emperor Investment’s unique product offering. Robo Advisors that build tailored all stock portfolios! It will be interesting to see how this performs for you Tom. I’ve never considered a robo-advisor before, but I do agree with you that it can be beneficial to have multiple tools in your toolbox. Do they allow you to exclude certain categories of equities? By that I mean, can you specify things like you do not want any MLPs or REITs in a taxable account? If you do add contributions, do you they have transaction fees on top of the flat management fee? I’m an employee of Emperor so I can definitely answer your questions. Right now there is no functionality for excluding categories (e.g. Consumer Goods, Utilities etc.) but who’s to say what the future holds! Because of our investing philosophy and algorithm criteria (one of which is long history of consecutive dividend payments) they tend to be higher market cap companies. In fact we only buy U.S. stocks and ADRs, no MLPs or REITs. There are no transaction fees on top of the annual management fee of 0.6%, everything is included! I also wanted to add that you can add contributions via your bank link on the platform, but right now if you want to transfer from another brokerage you would have to email us for a manual transfer. We’re working on making this process completely online, but in the meantime we would cover any transfer fees for the inconvenience. Hope that answers your questions! Let us know if you have any more via email: info@emperorinvests.com. Thank you for the prompt response to my questions. That is helpful information, particularly on the MLP / REIT topic given that those have certain tax implications that I look to avoid in a taxable account. Thanks again, and all the best as you continue to grow! Great rundown of this company. It seems it will alleviate some of your research of dividend stocks since they can pick them for you. And as you noted, not much overlap. I agree that investors should have more than just one tool in their toolboxes. Am I reading correctly that you expect this portfolio to earn a 15% annual return? That would be amazing! I love robo-advisors. Emperor seems solid; I’ll check them out! This is so cool! I like the screen shot of what the portfolio looks like. It doesn’t seem like there’s anything like this in Canada yet.